Connecting and Serving Students in Grades 6-12 and their Families. 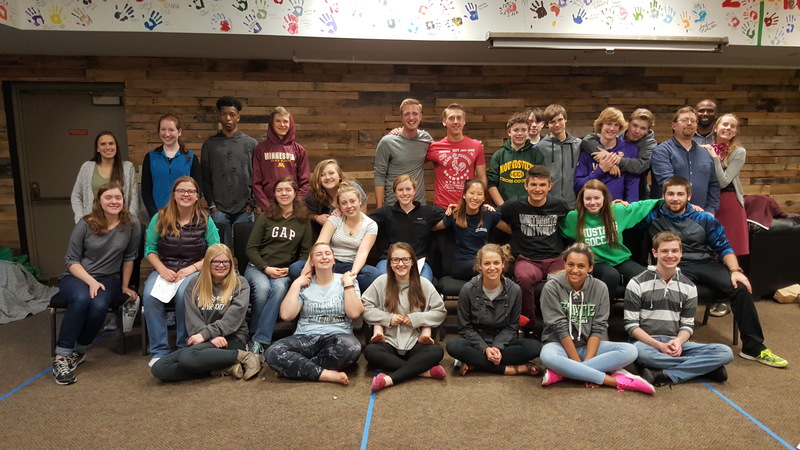 Salem Youth Ministries partners with families and the wider church to connect students to one another and to Jesus Christ, and to help them grow in their relationship with Christ. 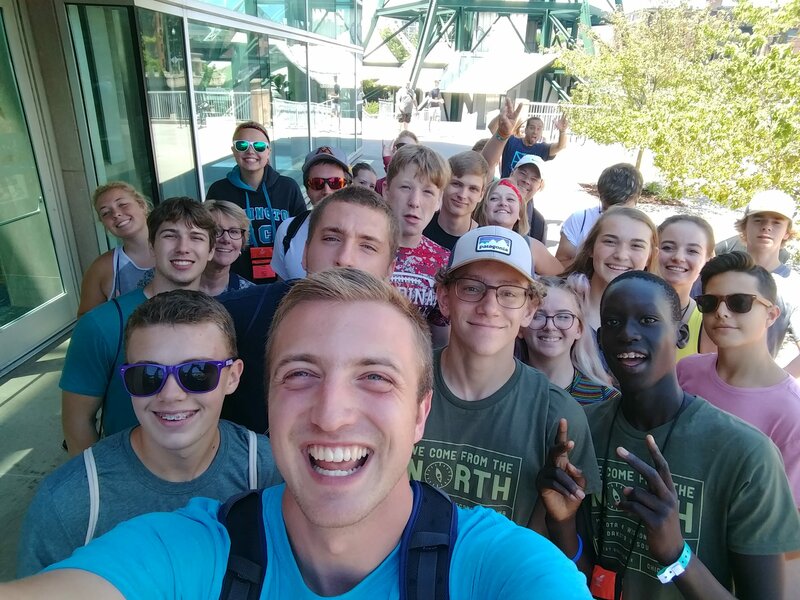 Through experiential learning, worship, service and fun, students are challenged and equipped to live a “whole life” faith that shapes every aspect of their lives. Each Sunday (September-May) from 10:10-10:50, students in Grades 6-12 gather for Sunday School. Grades 6-8 each meet separately. Grade 6 centers on the Old Testament, Grade 7 on the New Testament and Church history, and Grade 8 on our statement of faith and the mission of the Church. These classes also represent Confirmation (see separate tab), but students do not need to be in Confirmation to participate. Grades 9-12 meet together in the youth room and will often break into elective classes from there. Wednesday Bible studies (September-April) provide a mix of fun, connection, biblical teaching, and small group conversations. Middle School (grades 6-8) meets in room 13 from 6:45-8:00 p.m. High School (grades 9-12) meets in room 16 (youth room) from 6:30-8:00 p.m. Confirmation is open by enrollment to students in grades 6-8. Confirmation classes take place during the Christian Education Classes (10:10-10:50 a.m.), and are designed to engage students in basics of the Bible and Christian faith. 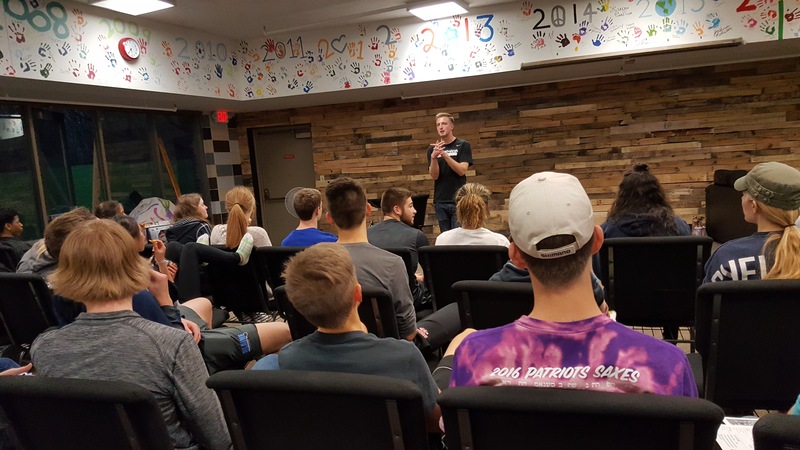 Beyond the classwork and weekly devotional exercises, students have the opportunity to take field trips to other churches, engage in service projects, and go on a fall retreat. For more information, contact Pastor Mark Pattie. Friday, April 26 || 7:00 – 11:00 p.m.
Friday, May 10 || 7:00-9:30 p.m.
Saturday, March 23 || 12:30 – 11:00 p.m.
Join us on a road trip to Duluth for an evening of skiing at Spirit Mountain. Cost: $30, if you have gear; $40 if you rent. A Parent Consent Release Form and a Spirit Mountain Liability Waiver will need to be signed and given to Luke. Copies will be located in the youth room. Click HERE to sign-up! MOVE stands for Mission Outreach Venture Experience. It’s a two-day urban retreat that focuses on God’s call to compassion, mercy, and justice. About 300 students from across the Midwest will gather in St. Cloud for challenging teaching, energetic worship, and the opportunity to serve. Friday, April 12 || 7:00 p.m.
Wednesday, May 22 || 6:30 p.m.
Join us as we celebrate the Senior class of 2019! Memories and great food will be shared! More details to come! January 6 || 6:00-8:00 p.m.
February 3 || 12:00-2:00 p.m.
March 3 || 6:00-8:00 p.m.
April 28 || 6:00-8:00 p.m.
Click HERE for scholarship application, if needed. Inspiring and equipping all generations.